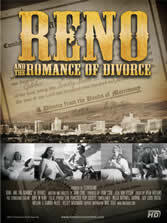 Reno & The Romance of Divorce reveals the untold story of how a band of State Legislators, a handful of lawyers and a few savvy ranch and hotel owners inadvertently helped shape our understanding of marriage, family, and our concept of female identity. From the turn of the century until the 1960s, Nevada provided a haven for those seeking to end a marriage. A short waiting period and the most lenient divorce laws in America combined to draw men and women from across the nation to Nevada, and most often to Reno. Social critics decried the lenient morals behind Nevada’s divorce boom. Other’s mocked the notion of fickle women racing to the state to dump their boorish husbands. Reality provided a stark contrast. Nevada’s divorce trade played a vital role in leveling the balance of power in marriages in the United States. Forget Tarzan. Before Hollywood cast Johnny Weissmuller as the King of the Jungle, he was already a legend… a legend that has been all but forgotten.….a legend that that created a phenomenon that far outlived his silver-screen alter ego. Johnny Weissmuller was quite simply the greatest swimmer to ever race. His remarkable raw talent has never been seen in the water since. 51 world records. 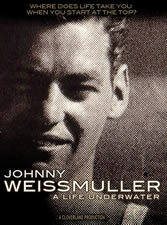 52 National Championships.In 1924, Johnny Weissmuller swam in two races that captivated the world. In winning those races, Weissmuller transformed the Olympics into more than a worldwide amateur athletic competition. He made the games into showcase for superstars, a forum that could bring riches and fame on a global scale. Weissmuller: The First Olympian is more than the untold story of how a poor immigrant kid from Chicago became America’s greatest athlete and conquered the world of sports. It is a story of the first international sports phenomenon. It is the story of the moment where talent, the media and money came together to transform the world of amateur athletics forever. You think you know about Climate Change? Think again. Are we drowning in carbon dioxide? Are we cooking the planet? And if we are, will Prius-driving documentary producers save us? Is it easier to change the planet than to change ourselves? 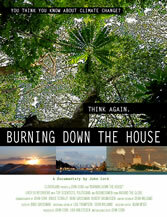 Burning Down the House is a five-year project consisting of over 50 interviews looking at the way we live and the way we are changing the planet. Filmed on four continents, and with shooting in 22 countries, Burning Down the House will open your eyes in a new and powerful way to the very human problem of Global Warming.